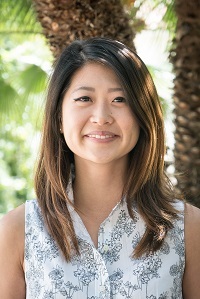 Jassica is currently in her second year of the two-year direct practice program and is a recipient of the HRSA Alzheimer’s MSW Stipend for 2017-2018. Through her volunteer experiences in nursing homes and hospitals, she realized she enjoyed working with the aging population. Currently, Jassica is interning at Sharp Rees-Stealy Downtown’s Population Health department and working closely with the Care at Home Team. She works with patients who are homebound including those who are affected by Alzheimer’s Disease and dementia. She provides telephonic support to meet the various needs of patients, and goes on home visits to provide further support and resources. She is looking forwards to having a deeper understanding about how social workers can play an integral part in improving the quality of life in the older population.